In addition to high winds and storm surge, Hurricane Irma also delivered ample rainfall. 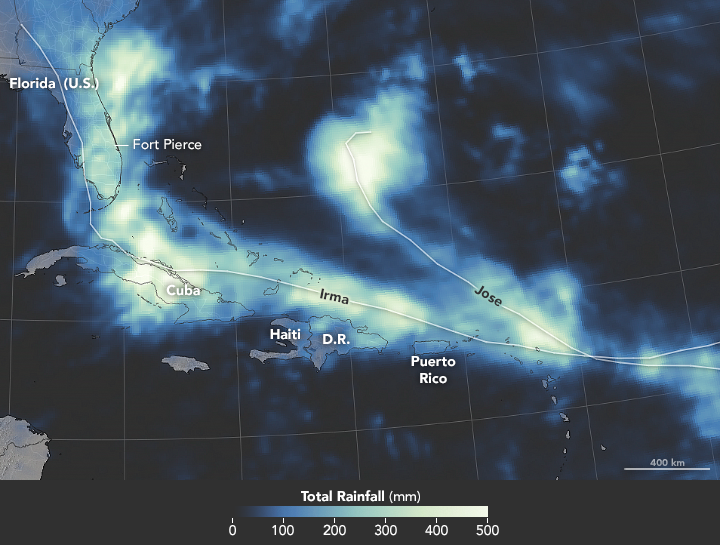 This map shows satellite-based measurements of rainfall as the storm tracked across Caribbean islands and into the southeastern United States. 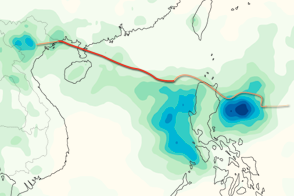 It depicts accumulations measured from the morning of September 5 to the morning of September 12. 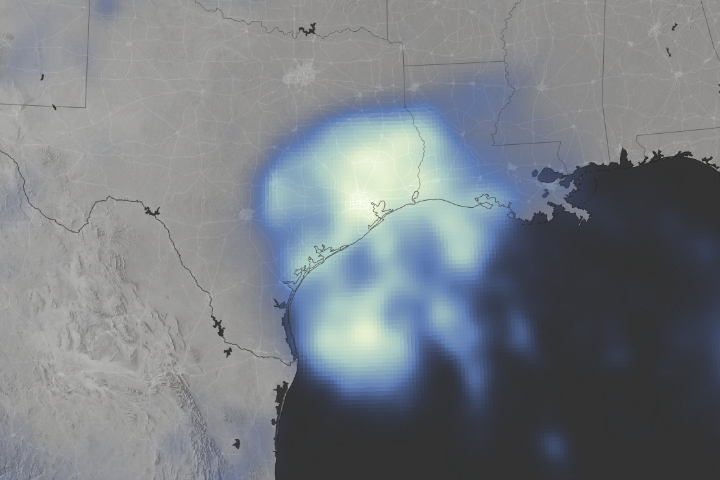 The brightest areas reflect the highest rainfall amounts. Note that rainfall from Hurricane Jose is also visible over the Atlantic Ocean. 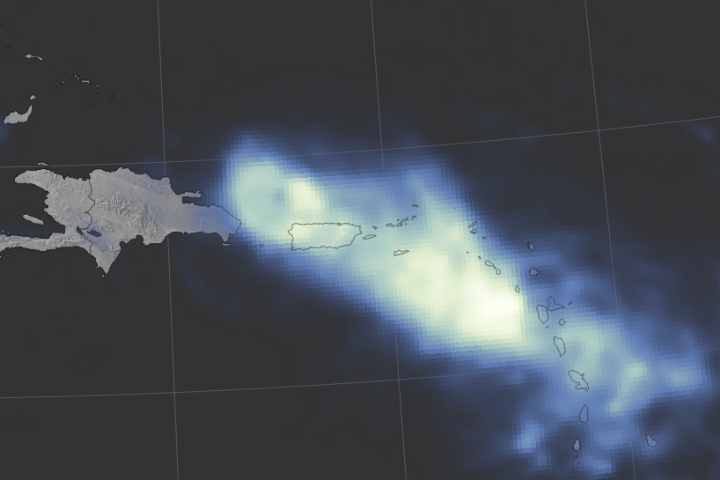 The map is particularly bright over Cuba, where as much as 20 inches (500 millimeters) of rain fell during this period. 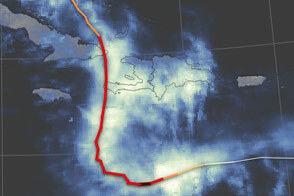 After passing Cuba, the storm developed an asymmetry from east to west, delivering more rain to the eastern side of its eye. One of the highest totals in the United States was recorded in Fort Pierce, Florida, where ground-based stations measured about 16 inches (400 millimeters) of rain. George Huffman, a research meteorologist at NASA’s Goddard Space Flight Center, offered a possible explanation for the pattern. 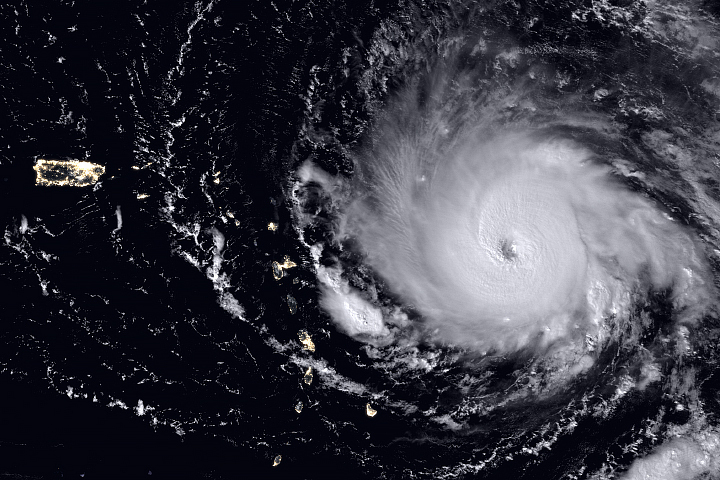 He noted that counterclockwise circulation may have caused the western side of Irma to draw relatively drier air off the land, while the eastern side pulled huge amounts of vapor off the warm Atlantic. The rainfall map also shows great differences in accumulation from place to place. 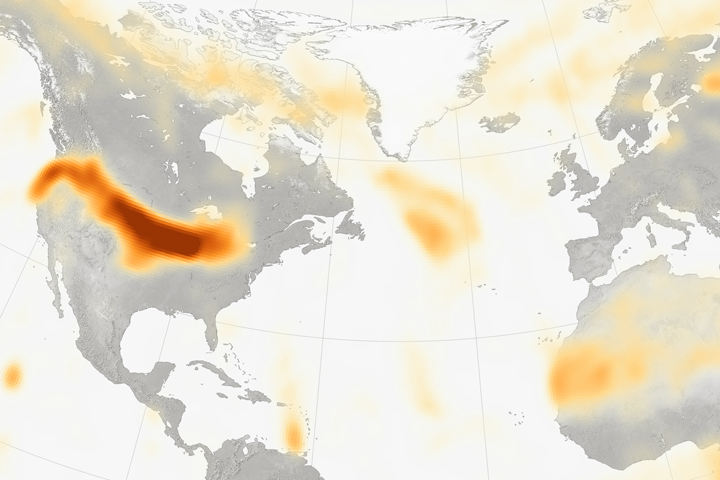 “This tells us that there’s a lot of variation going on around the storm,” Huffman said. 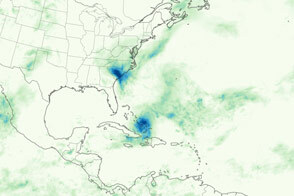 This could be due to variations in the storm itself, such as an evolving eyewall structure. Also, variations in the local environment—things like wind, air temperature, sea surface temperature, and humidity—likely factored in, as well as the storm’s interaction with rough, mountainous surfaces of the islands. 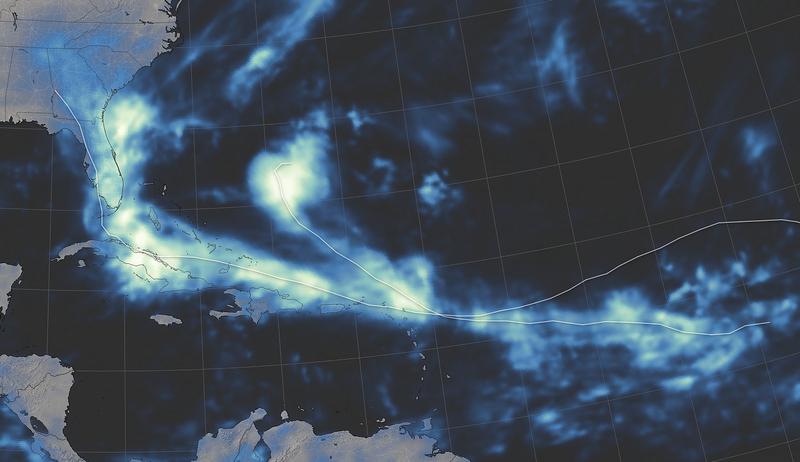 The measurements are a product of the Global Precipitation Measurement (GPM) mission, which is a partnership between NASA, the Japan Aerospace Exploration Agency, and five national and international partners. The rainfall totals are regional, remotely-sensed estimates. 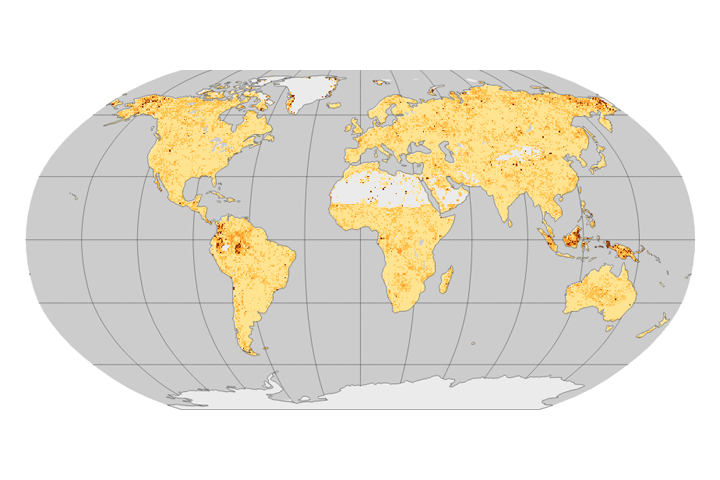 Each pixel shows 0.1 degrees of the globe (about 7 miles at the equator), and the data are averaged across each pixel. Individual ground-based measurements within a pixel can be significantly higher or lower than the average. 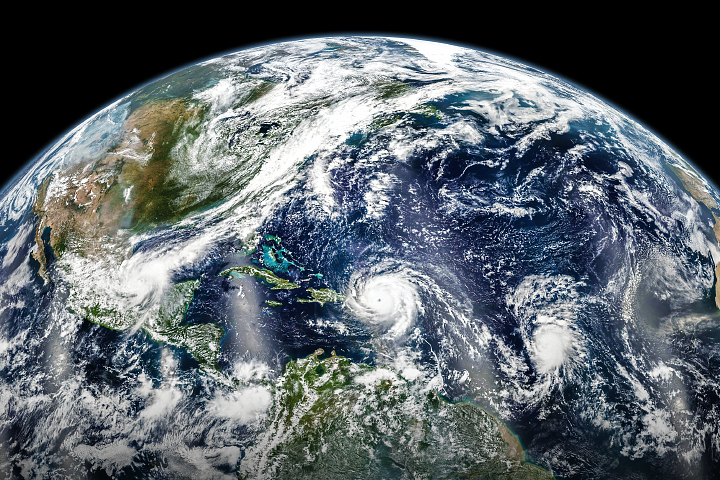 NASA Earth Observatory image by Joshua Stevens, using IMERG data from the Global Precipitation Mission (GPM) at NASA/GSFC, and storm track information from Unisys. Story by Kathryn Hansen. Rainfall from Hurricane Irma affected people on land, while most of Jose’s rain fell over the Atlantic Ocean. 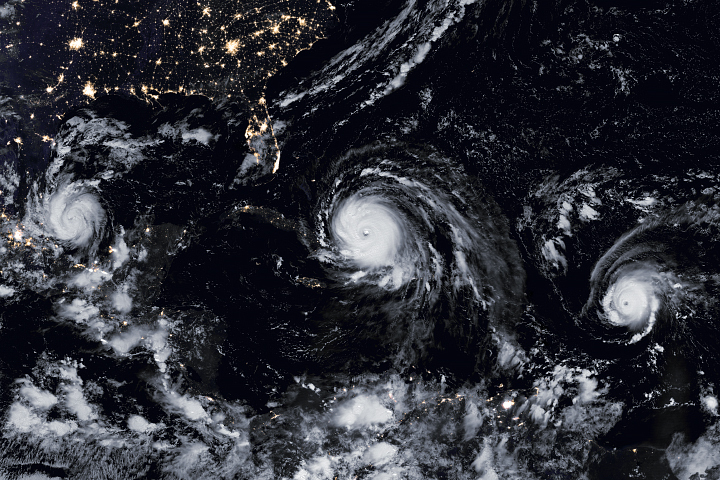 NASA Hurricanes (2017, September 13) Irma (Atlantic Ocean). Accessed September 13, 2017. 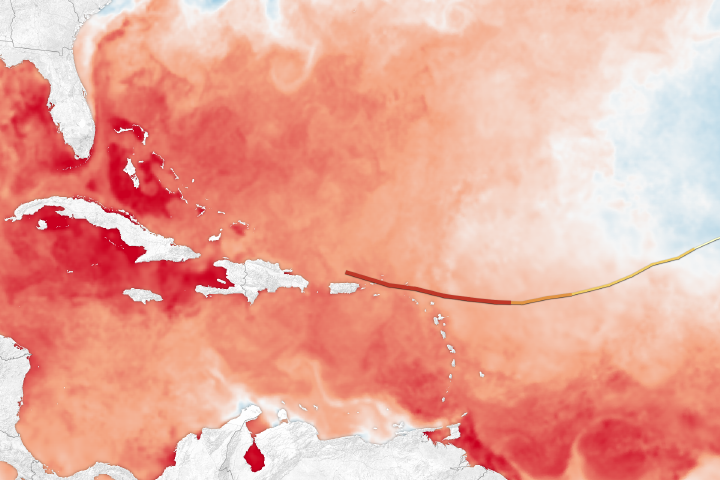 NASA Earth Science Disasters Program (2017, September 12) Irma’s Heavy Rainfall Measured with GPM IMERG. Accessed September 13, 2017. The Weather Prediction Center (2017, September 11) Storm Summary Message. Accessed September 13, 2017.